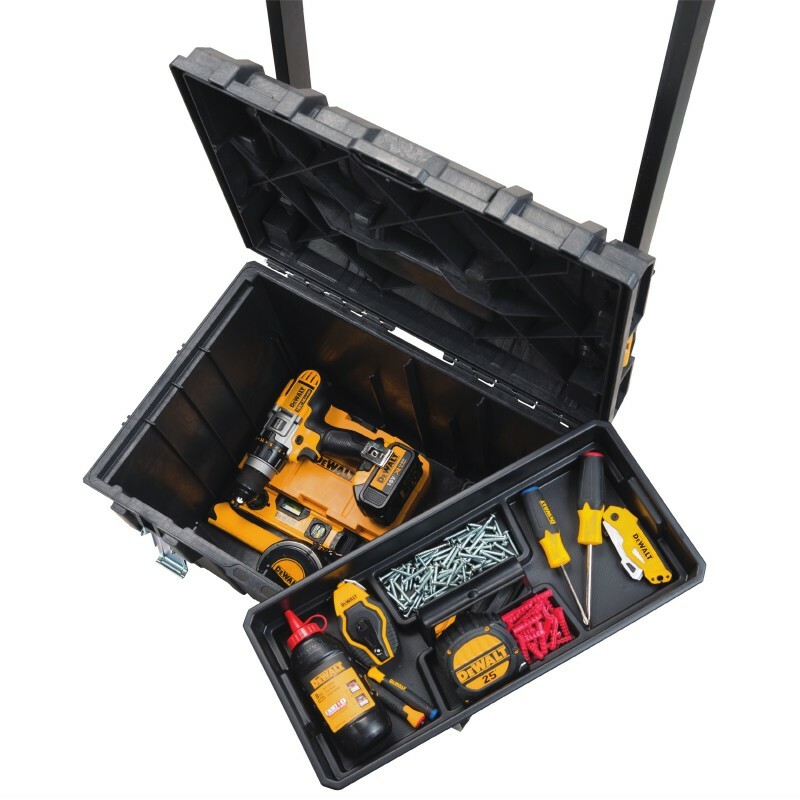 ToughSystem Workshop Racking Solution (model DWST08260) is what DeWalt has designed to store and organize all of their modular ToughSystem boxes. 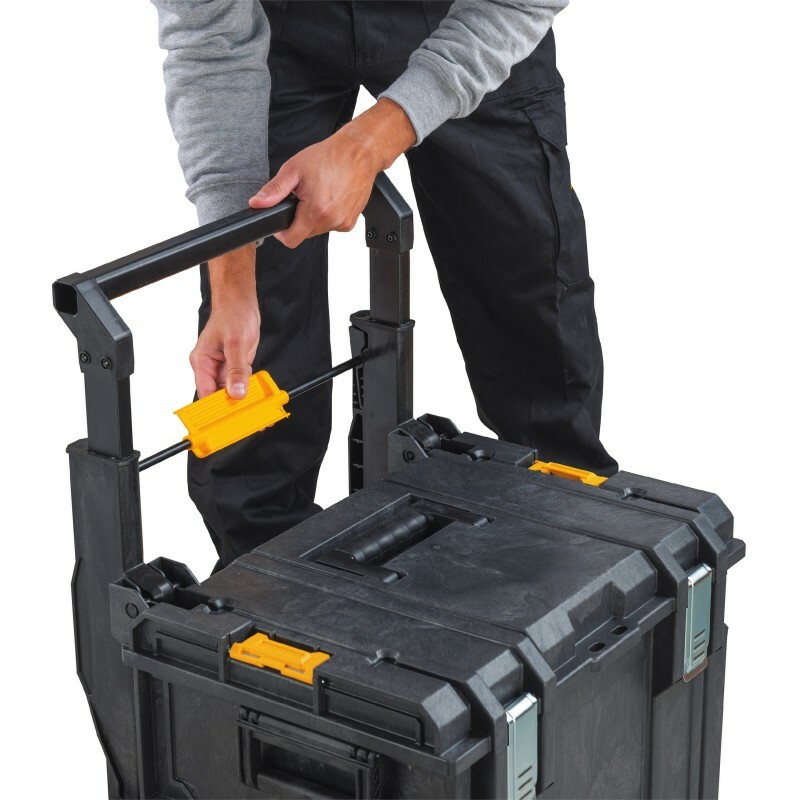 The rack is designed similarly to their ToughSystem L-Cart, in that it uses brackets that fit under the side handles of the boxes, which also locks them into place. The brackets can be moved up and down along the 6-foot metal bars to match your particular spacing requirements. The rack includes 5 pairs of brackets and more can be purchased separately. Each rack can carry up to 440 lbs. It also looks like the ToughSystem rack could be used to outfit a trailer or van with ToughSystem boxes. One downside I see to the rack, though, is that if you have the boxes spaced too closely together, you would have to remove them from the rack to get inside. 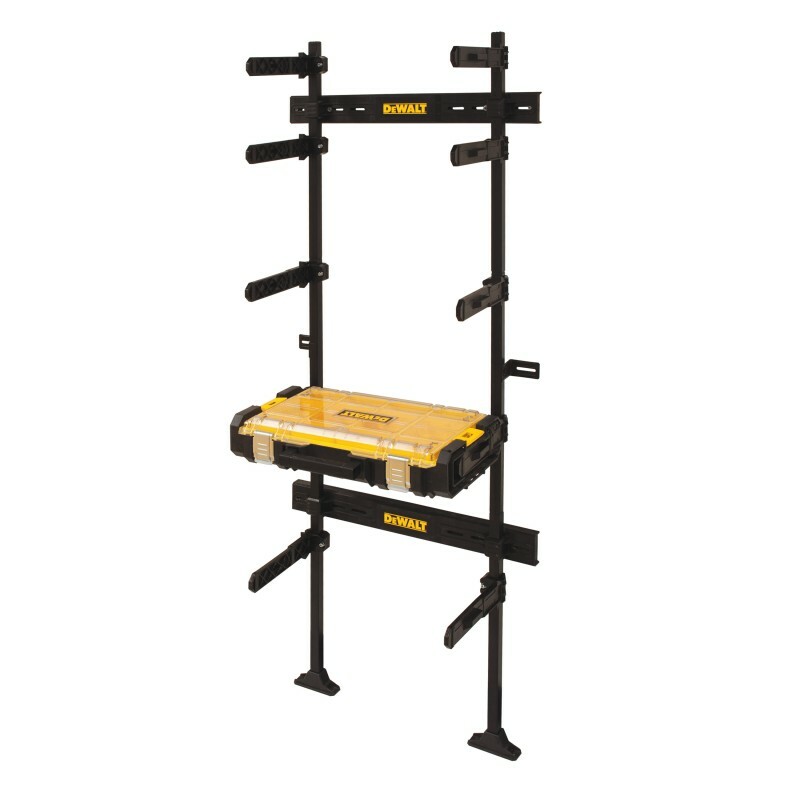 A second Workshop Rack kit is available (model DWST08270) that also includes a DeWalt ToughSystem DS100 Clear Lid Organizer. 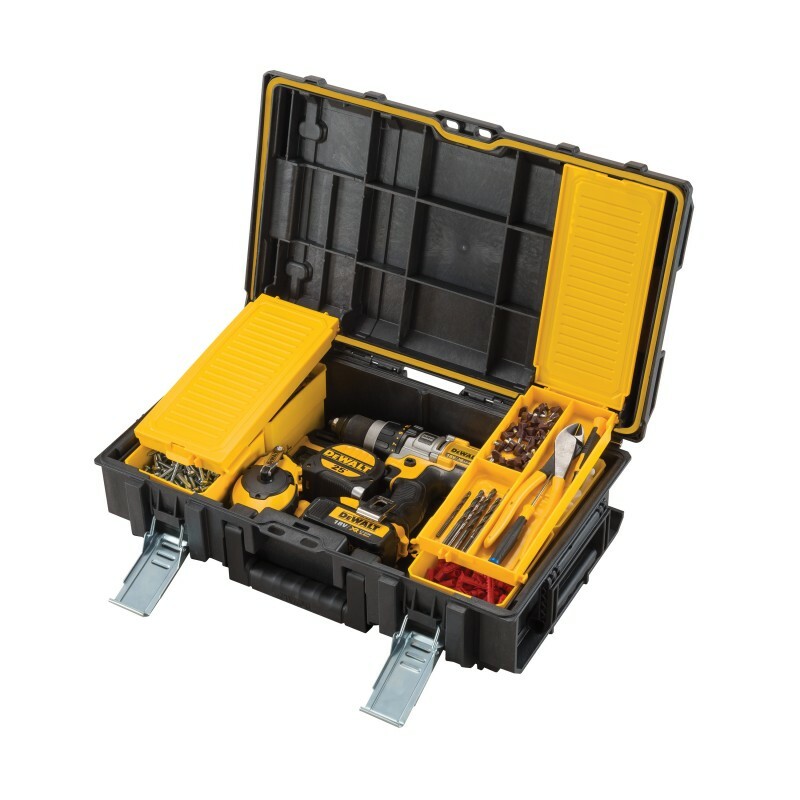 The new ToughSystem DS130 Suitcase (DWST08130) appears to be very similar to their standard small sized ToughSystem Box but it is lacking the divider that fits in the lid and it is missing a few of the small parts boxes. 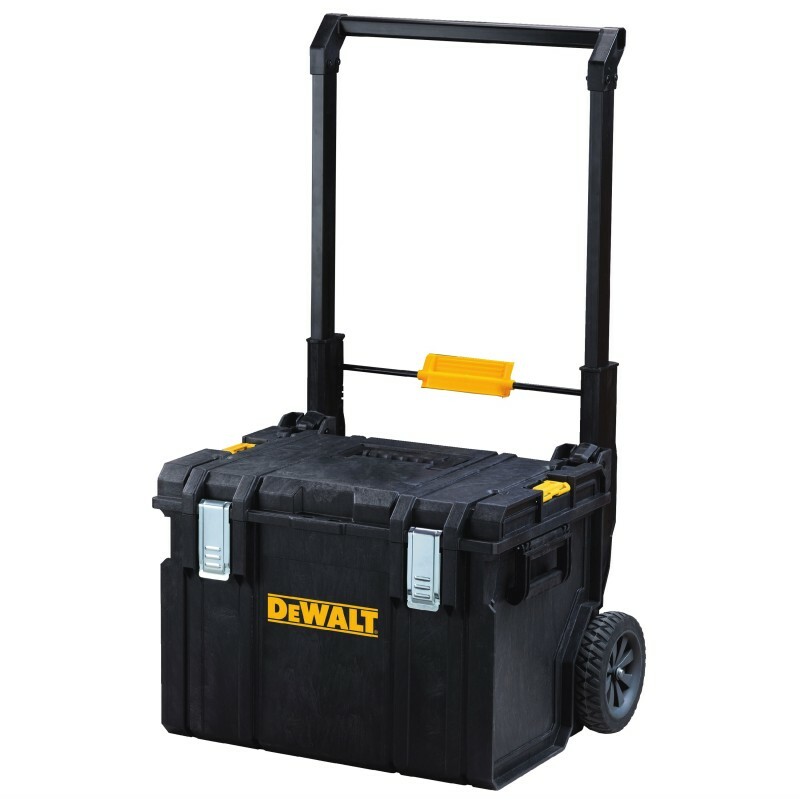 With the extra room, though, it is better suited to house a small power tool and any accessories you would use with it. The ToughSystem DS450 Mobile Storage (model DWST08250) is another option that allows users to make their ToughSystem mobile. 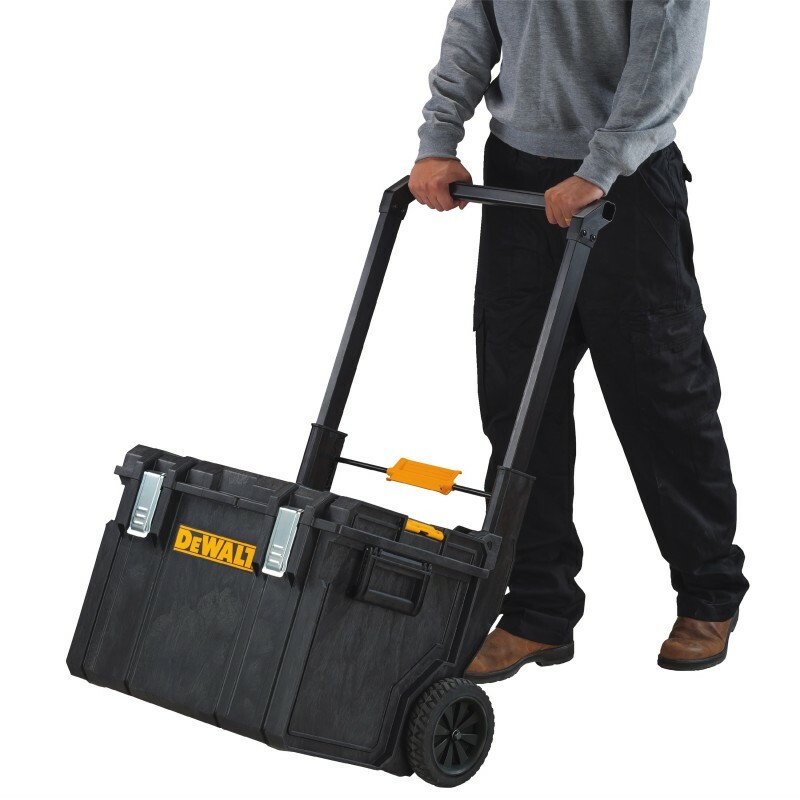 Designed with wheels and a telescopic handle built right into the storage box, it is ready to go at any time. It doesn't offer the rack/bracket mount system of the L-Cart, thus requiring additional boxes to be stacked, but I can see where it has its advantages. 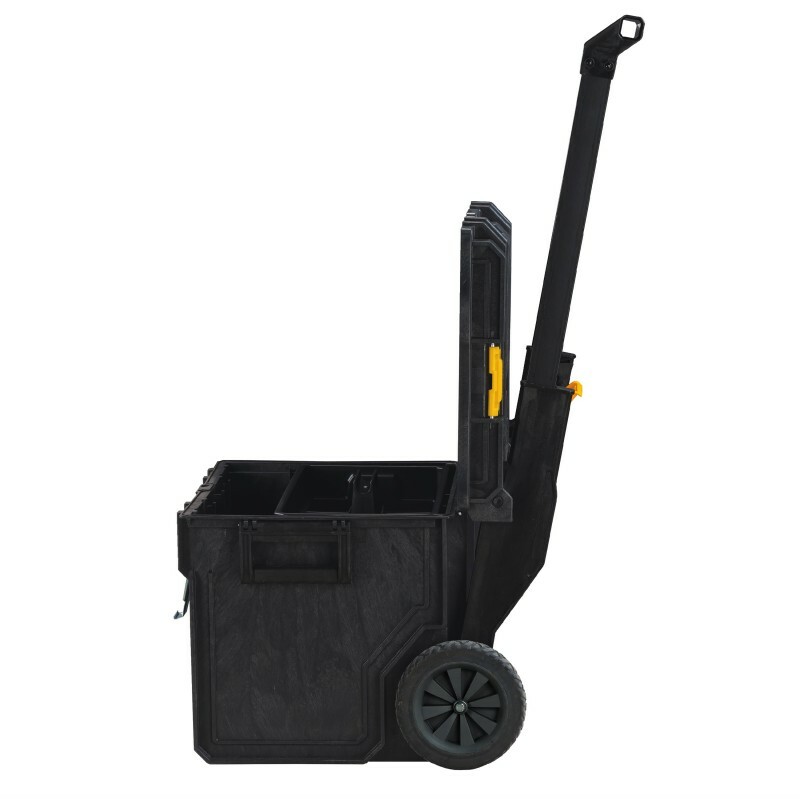 For one it is a smaller, lighter, option compared to the L-Cart. Still, I am told it can handle 88lbs. being stacked on top of it. 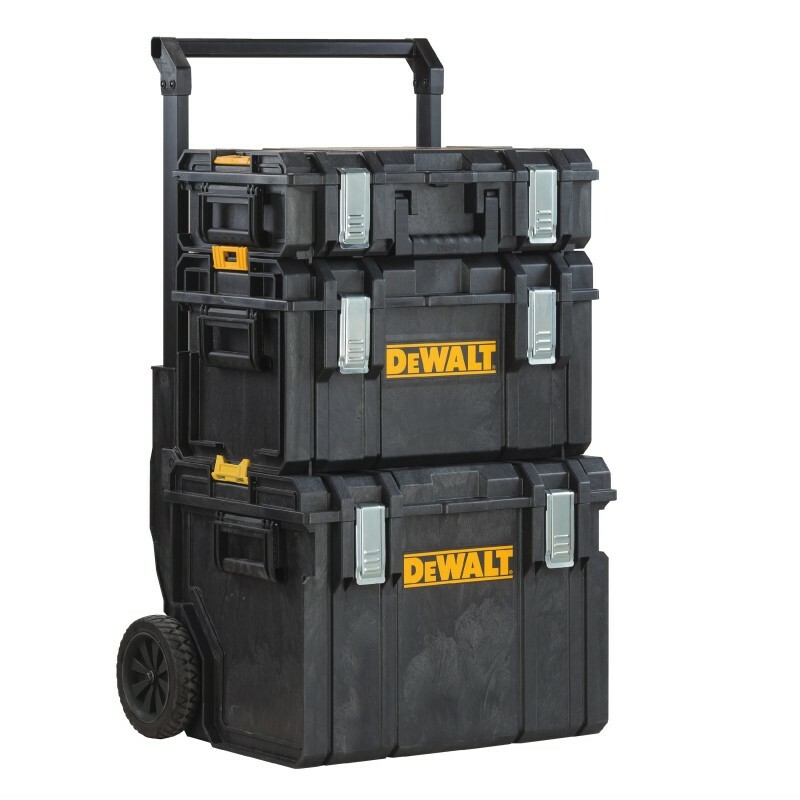 Like previous DeWalt ToughSystem Boxes, the models above feature an IP65 rated dust and water seal, and rust resistant metal latches that keep the lid on tight and the elements out. 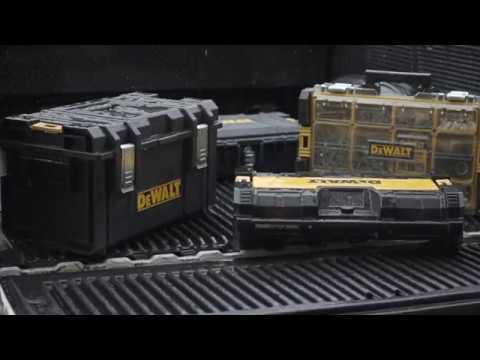 If you are not sure why I like the ToughSystem so much, you should check out my full DeWalt ToughSystem review.